Since the early of December there are premiers of John Woo's new movie called "The Crossing". One was held on December 2 in Taipei, Since December 4 up to December 14 there would be the grand opening of the movie "The Crossing" Part 1. On the one held in Taipei fully-dressed Xiaoming Huang, Hyekyo Song, Takeshi Kaneshiro and other major members of the cast appeared on the red carpet to please fans by making the venue a replica of the magnificent scene on the ship "the Pacific". In Singapore is was shown via Shaw Bros. on December 5. Tomorrow, means on the December 12 (Friday), there would be the Macao HK Gala Premiere and John Woo, his cast of Tong Dawei, Song Hye-kyo, and most likely Takeshi Kaneshiro walk the red carpet at the main lobby of The Venetian Theatre at 7:00 PM. According to the Asia Bureau Chief Patrick Frater "The Crossing" will be served up in IMAX format. Still there is certain restriction to the territories where it would be so. The first trailers of The Crossing (《太平轮》) appeared in the net. The film would tell the story of people who fligh to Taiwan in the midst of war in the late 40s. Actors: Zhang Ziyi, Hye-gyo Song, Takeshi Kaneshiro, Xiaoming Huang, Bowie Lam, Tong Dawei, Masami Nagasawa. Expecting the new movie of John Wu (Wu 宇森) named "THE CROSSING". Takeshi Kaneshiro is to play here along with Ziyi Zhang, Hye-gyo Song and Xiaoming Huang. The movie is about the sinking of the steamer "Taiping" in 1949 where over 1,500 passengers and crew died. It will be divided into 2 parts and the first one is expected to be released in China on December 2, 2014. The 2d part is planned for the May 2015. Takeshi Kaneshiro will be playing together with Nagasawa Masami. So far it is not known if John Wu would make the American theatres release, just like he did with the Red Cliff. 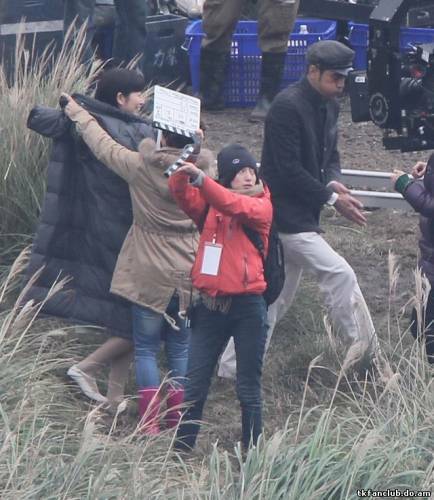 As various Chinese media say, "The Crossing" shooting process proceeds even in the 6 degree cold. 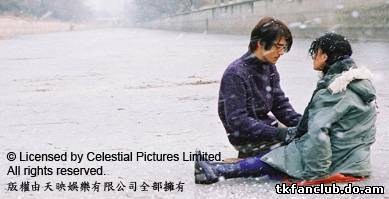 There are photos from the stage uploaded on the different sites showing that Takeshi Kaneshiro and Masami Nagasawa are in front of the camera only is Summer clothes but the temperature is cold. As all of the fans most probably know, there is a new movie which is being filmed by John Woo for the 2014. It is called "The Crossing" (太平輪). It is the first film by John Woo after four years of rest and it is already clamed to me one of the most expected big-budget projects of 2014 (the two-part film is budgeted at $40 million). As you know, such actors will be starring in the movie: Zhang Ziyi, Huang Xiaoming, Tong Dawei, Song Hye-kyo (South Korea), Masami Nagasawa (Japan) and Takeshi Kaneshiro (Taiwan). The script is written by Hui-Ling Wang who in 2001 was nominated for Academy Award for Best Writing as the script-writer for "the Crouching Tiger, Hidden Dragon". The film will be released in two parts. The Crossing was originally titled "1949" and was planned since 2009. It tells the story of three couples aboard a ship in the South China Sea fleeing China for Taiwan during the 1949 revolution. For the details of the movie and the process of shooting you can visit the Russian TK fanclub group here and of course, takeshionline.com. On the 1st of February, 2012 it was announced that there shall be The 36th Hong Kong International Film Festival (HKIFF) held in Hong Kong from 21 March to 5 April 2012. Peter Chan’s "Wu Xia” has been invited to the 16th Busan International Film Festival GALA Presentation. 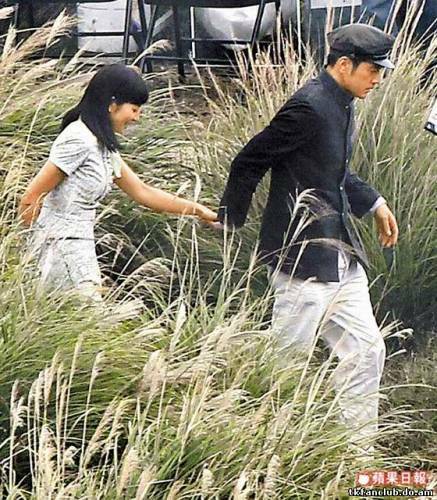 Takeshi Kaneshiro and Tang Wei will walk the red carpet at the 2011 Busan International Film Festival together. It will be the first appearance of Takeshi Kaneshiro at Busan Film Festival. The 16th Busan International Film Festival will take place on October 6-14, 2011. 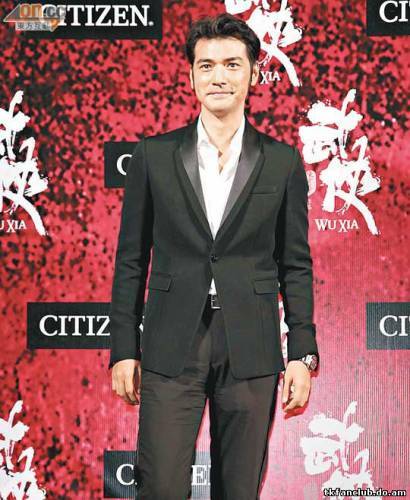 Here are some pictures of the Beijing Wu Xia Red Carpet - one with Takeshi Kaneshiro. According to Alfred Hsing who is an actor, martial Artist and entrepreneur. The movie he saw on the premier was very good. Here are his words: "The film made some moves at innovation with some CSI style forensics of martial arts techniques so I thought that gave the movie a little something different." The premiers and presentation of the new Peter Chan's movie "Wu Xia" were held and there are some reports on the news, interviews and photoreports of the events from different sources. 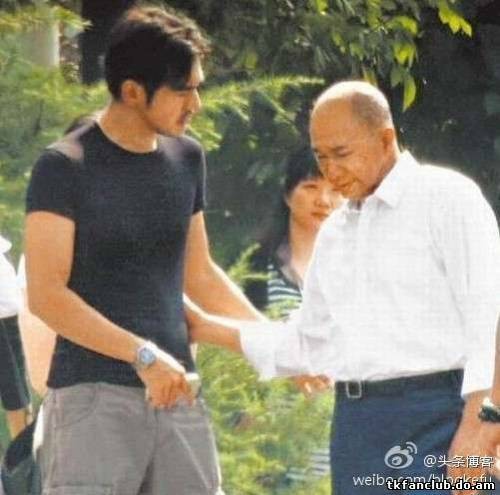 1) The article called "Peter Chan reveals the secret to Takeshi Kaneshiro's success" written by Melissa Tan for the channelnewsasia.com 05 August, 2011.